There are two sides of Nashville and two ways to experience its history. One is the country music roots of “Music City,” the epicenter of the uniquely American cultural phenomenon. The other is through the places highlighting the rich heritage of the city, the state, and its people. The best of country music’s past can be seen in museums and legendary touchstones clustered throughout the downtown area. 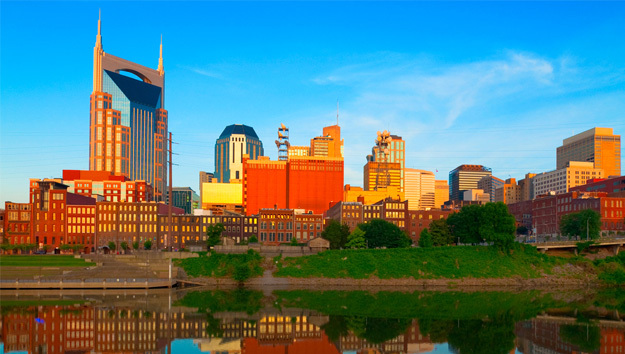 The heritage of Nashville and the region – antebellum homes, museums, architectural treasures, Civil War battlefield sites and, true to Tennessee’s moonshine folklore, whiskey distilleries – are spread out in the downtown area and within short distances of Nashville. Start out with a great overview on the Old Town Trolley Tour. Let the trolley take you to must-see legendary music sites and non-music historic places in the downtown area. 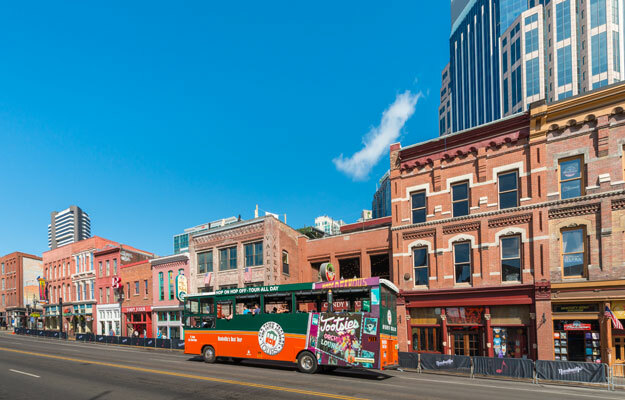 Entertaining conductors fill you in on Nashville’s legends and let you know what’s around 15 great hop-off/hop-on stops. “Music City” didn’t just happen. There was always music in Nashville. The first families who settled in the wilderness along the banks of the Cumberland River were fiddle players who laid the foundation for country music’s distinctive sound and lyrics. The love of music grew along with the expanding city. Historic Ryman Auditorium: It’s often called the “Carnegie Hall of the South,” is where music greats across all genres have performed since 1892. The Grand Ole Opry radio show, first broadcast in 1925, moved permanently to the Ryman in 1943. From that point forward, the Ryman was the center of country music as the Grand Ole Opry reached Americans outside the region. Walk through the legendary auditorium on a Self-Guided Tour. Take a selfie with Opry legends Roy Acuff and Minnie Pearl, realistically captured in bronze. Attend Opry Country Classics for a celebration of music led by celebrity hosts and performed by guest stars. 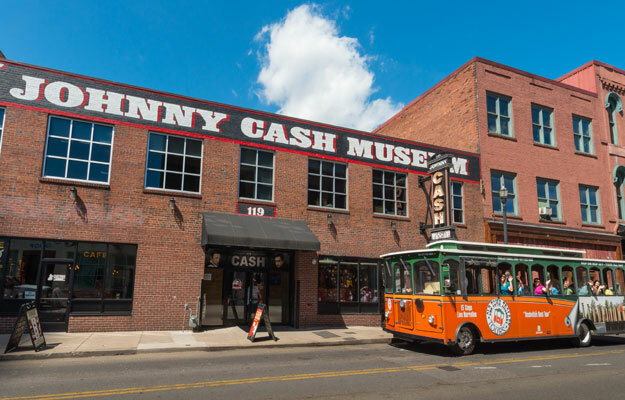 Johnny Cash Museum: Feel the presence of the “Man in Black.” See how powerfully he influenced the changing direction of country music through a wonderful collection of memorabilia and video clips. Country Music Hall of Fame & Museum: Become immersed in two centuries of America’s music genre. A repository of country music’s historic treasures, the museum is filled with exhibits from its collection of artifacts, recordings, photographs, stage costumes, musical instruments, and more. Exciting limited exhibitions are musts. Legendary RCA Studio B on Music Row: This is where country music greats like Elvis recorded, is a great add-on to the Music Hall of Fame experience. Check out iconic original posters of legendary music artists at Hatch Show Print, America’s oldest Letterpress print shops. Grand Ole Opry: A historic Nashville experience is incomplete without going to the Grand Ole Opry House in Opryland, permanent home of the legendary broadcast since 1974. See what goes on behind the scenes on a guided Grand Ole Opry House Backstage Tour; see it live at a Grand Ole Opry Show. Music City Walk of Fame: Look for your favorite music greats in Music City Walk of Fame Park. Venture into the Honky Tonk Clubs on lower Broadway where legendary performers got their start. 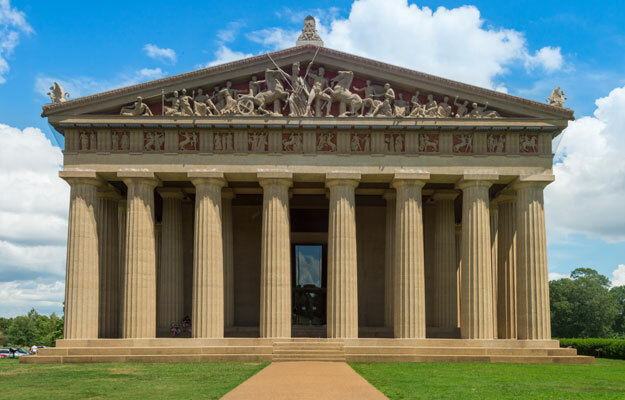 Parthenon: The imposing building in the middle of Centennial Park is what it appears to be: a replica of the Greek Parthenon. Built in 1897 for the Tennessee Centennial & International Exposition, it’s an awesome sight. The star of the show, gilded and brightly painted 42-foot Athena standing in the soaring interior, is a great photo op. A collection of 19th and 20th-century American art on exhibit in the museum looks back; contemporary works of emerging local artists reach to the future. Tennessee State Capitol: The work of the state, both the executive and the legislative, takes place in the graceful Greek Revival building completed in 1859. Limestone from a nearby quarry and grand cast-iron spiral staircase and balconies give it strength with grace. Guided tours are available of the interior. Walk the grounds to the gravesites of the 11th president of the U.S., James Polk and his wife, Sarah Childress Polk. See monuments to important Tennesseans, including U.S. presidents Andrew Jackson and Andrew Johnson. Tennessee State Museum: Tennessee’s heritage is on display in the museum adjacent to the Capitol. A water wheel and other life-size exhibits – reproductions of an 18th-century print shop, pioneer cabin, antebellum parlor and Victorian painting gallery – span Tennessee’s history. Special exhibits highlight the role of African-American soldiers in the Civil War and the life of a free black family living in Knoxville before 1860. Belmont Mansion: This elegant 19th century, 36 room mansion was restored with Italian Villa with lovely grounds, is the largest house museum in Tennessee. Furnishings, paintings, silver, China, and statuary offer glimpses into the lifestyle of the wealthy in Nashville before, during and after the Civil War. Find out how the owner, Adelicia Hayes Franklin Acklen Cheatham, kept her family going after being widowed in the Civil War. Take short road trips to experience interesting non-music historic sites outside the downtown area. Andrew Jackson’s Hermitage: A visit to the home of the 7th president of the U.S. is a glimpse into the colorful and controversial Tennessean, his family, and his time – from the Revolution to just before the Civil War. The home, first built in 1804 in the simple Federal style, and remodeled in 1837 into a Greek Revival showpiece, is one of the best preserved of early presidential homes. Attention to detail and authenticity around every corner of the home filled with family and Jackson-era artifacts is evident on the guided tour. The house, peaceful grounds, historic outbuildings and burial site of Jackson and his wife, Rachel, are a time-travel back to a young America. Belle Meade Plantation: A 19th century, 200-acre working farm with a grist mill, saw mill, cotton gin, stables and thoroughbred stallions, offers a glimpse into the accumulation of wealth of a multi-generational Nashville family. What began in 1820 as a country home evolved into an elaborate Greek Revival mansion by 1845. Tour the mansion with a costumed guide. Walk through the grounds and historic outbuildings. Enjoy wine tastings from the winery. Have an authentic Southern cuisine lunch or weekend brunch at the on-site Harding House Restaurant. Travelers Rest Plantation: A simple, restored 1799 Federal style home offers a different perspective of a plantation home. Built as the home of Judge John Overton, planter, banker, Supreme Court of Tennessee judge and adviser to Andrew Jackson, it was the family home until the late 1800s. Museum exhibits document Overton’s life, plantation history, Nashville during the Civil War, the life of a slave, and details of nearby Civil War battles. Historic Civil War Battlefield Sites: There are several Civil War battlefield sites in the Nashville area. Only one, the Battle of Franklin Site, offers a combination of experiences on the location of one of the deadliest battles of the Civil War. Other battlefield sites can be seen by driving to now-developed areas where the battles took place using maps available online or at tourist information outlets. Battle of Franklin Site: This battlefield location brings insight to the human impact of the Civil War. See where the battle took place – a sprawling family livestock farm, Carnton Plantation. Tour the house which became a field hospital for wounded and dying soldiers; visit the museum; walk the gardens. Walk through McGavock Confederate Cemetery, the only private military cemetery in the nation and final resting place for 1500 Confederate soldiers killed during the battle. Visit the Carter House, which became a Union command post. Decompress by walking down Main Street in quaint Historic Franklin. The nearby town is true to its motto: Real Food, Real People and Real Atmosphere. Whiskey History: In Tennessee, where mineral-rich spring water flows, there is history in whiskey. Whiskey-making began in the traditions of the first Scotch-Irish settlers. Its evolution into moonshine during tough times has become the stuff of mountain legends. Jack Daniels Distillery: In 1888, Jasper Newton Daniel, known as Jack, produced his signature charcoal-mellowed “sippin” whiskey, Old No.7, in his Lynchburg distillery, established in 1866 as the first registered distillery within the U.S. The rest is legendary. Today, Jack Daniels Distillery, which produces on a global scale, is still in the same Lynchburg location, 30 minutes from Nashville. Check out the 5 different tours of Distillery Hollow, where whiskey is made. There are three touring, storytelling and different levels of “sippin”experiences. Dry County Tour is the engaging tour without the “sippin.” Taste of Lynchburg includes storytelling, sippin’ and a midday meal.